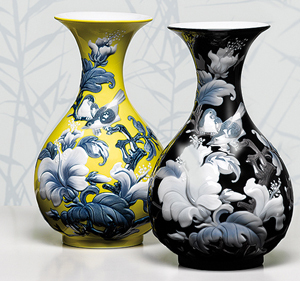 ChinaMend has been established for over twenty years and has been engaged in extensive china repair and restoration, crystal glassware and glass decorators, especially with antique dealers and private individuals in the North West, Birmingham and the Midlands. We are an Internationally recognised business and are prepared to travel within the UK or abroad, at the client's expense. ChinaMend is currently based in North West England. Proprietor, Jackie Cranmer has twenty years of experience repairing and restoring all types of china, pottery and porcelain including Royal Doulton, Capo di Monte, Lladro, Beswick, Capodimonte, Dresden and Chelsea Gold Anchor. 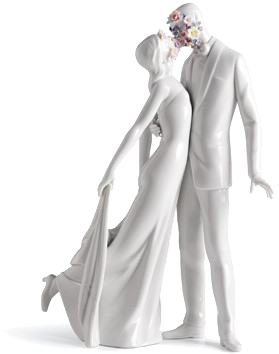 These can includes all types of figurines, jugs and vases. ChinaMend use a range of techniques to repair or restore, allowing an invisible repair. Any missing pieces can be made to match the piece undergoing repair and restoration. Oil paintings and frame restoration service also available. We offer oil painting and picture frame repair and restoration services across the North West region and the whole of the UK, including Blackburn, Bolton, Lancaster, Chester, Leeds, Liverpool, Lancashire and Cheshire. A cleaned and re-varnished oil is always a transformation. Taking away the years of grime can show you colours you didn’t know were there. When varnished the contrast is enhanced and the picture will have a prolonged lease of life. We can also do minor repairs to the canvas, touching-up of the artwork and re-stretching onto the old or new stretcher bars. Missing details and decoration on plaster and gesso antique frames can be replaced, gilt varnish retouched or replaced and broken joints re-fixed. You can now benefit from Jackie's extensive experience. We offer a 2-day introduction course with one-on-one tuition - no experience required! Learn how to repair and restore your own pieces of china, porcelain and pottery. All materials supplied plus refreshments, get in touch with Jackie - see 'contact details' below.